How would you cope if your teenaged daughter had an accident which left her brain dead but she was also pregnant? In The Night Olivia Fell, the mother, Abi, has to deal with the impending death of her daughter, Olivia, and the birth of her grandchild. Abi also believes that someone pushed Olivia off of the bridge. The police seem to give her the cold shoulder and don’t follow up on any leads. So Abi does what any mother would want to do – she investigates the case herself. She has a police officer from a different town help her search for answers. This mother and daughter had some pretty big secrets that they reveal to each other. Abi never told Olivia who her father was. Olivia did some research on her own before she fell and found out her father’s identity. Olivia never told her mother that she was pregnant or who the father of the father of the baby was. Although the book definitely has some sad moments, the sadness was balanced with the search for the truth. 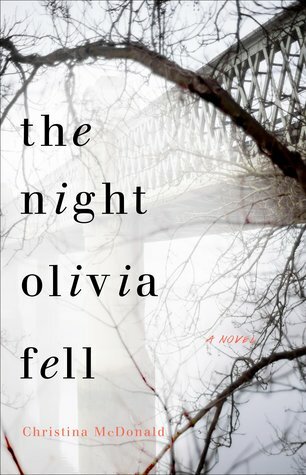 I would recommend The Night Olivia Fell by Christina McDonald especially if the reader likes mysteries.